The assistant professor of mathematics and statistics will use the $128,000 grant to forward her research connecting problems in algebraic geometry and representation theory. 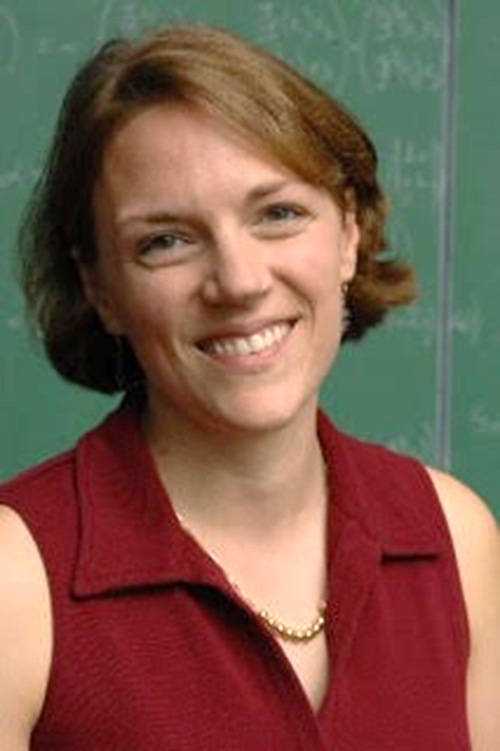 The National Science Foundation (NSF) has awarded Assistant Professor of Mathematics and Statistics Elizabeth Milicevic a $128,000 grant in support of her project “RUI: Affine Flags, p-adic Representations, and Quantum Cohomology.” RUI refers to NSF’s program facilitating research at Primarily Undergraduate Institutions through the funding of individual or collective research projects, collaborative work with other NSF-supported scientists, and the purchase of shared-use research equipment. Among the goals Milicevic has set for her NSF-funded research is to uncover new ways in which the tools of one area of her research can be used to shed light on seemingly unrelated phenomena in another area. Algebraic geometry and representation theory, she says, are classic examples of this interconnectedness of mathematical subfields. The research will likely enable her to fill in missing and previously unthought-of links between related topics in algebraic geometry, representation theory, combinatorics, number theory, and physics. Given the distinct nature of mathematical research in comparison to other natural sciences, Milicevic’s project is not contingent on the availability of expensive equipment, and so the grant, which runs from September 1, 2016, through August 31, 2019, will primarily fund collaborative opportunities for students and research collaborators. This will generate a more diverse range of ideas and creative approaches, which will speed up the progress on her research. The grant will also support the existence of ongoing collaborative ties between Milicevic and her colleagues, most of whom work in different research areas. Collaborators who are not dispersed internationally will be able to work with Milicevic directly through seminar series she will co-organize. Haverford students will be able to engage in Milicevic’s research by applying for two NSF-funded stipends that will cover ten weeks of full-time research in the summers of 2017 and 2018. Over half of Milicevic’s senior thesis students to date have grappled with thesis projects that discuss topics closely related to the research problems laid out in her NSF proposal, so the summer stipend will open up opportunities for engagement in these explorations for younger students, too. As a major part of their work, they will get to perform programming calculations in Sage, an open-source mathematics software system, learning to combine intellectual work with computer experimentation to produce mathematical conjectures. In addition, Milicevic hopes to continue bringing students to undergraduate and research conferences, including all-female mathematical conferences, as they provide an important platform for developing peer-mentor relationships within the scientific community.